At National we are committed to offering the highest possible standard of cleaning and customer service. All cleaning and pressing is carried out by highly trained and skilled staff who treat every garment or item as if it was their own. Our staff have qualifications on all aspects of the dry cleaning process, gained from the Guild of Cleaners & Launderers Q Star scheme. National Dry Cleaners is a member of the Textile Services Association (TSA) and abide by their Code of Practice for the Industry. Our MD Adrian Redgate is currently the Chairman of the Retail Forum for the TSA and works closely with them within the retail sector of Dry Cleaning and Laundry. Here at National Dry Cleaners, we not only have over 115 years of dry cleaning and laundry experience that has passed along through generations in the family but we have the qualifications to support this. 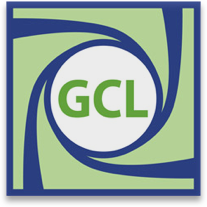 Our qualifications are from the Guild of Cleaners & Launderers which has been the examination body for the laundry and dry cleaning industry for over 60 years. Formed in 1949, the Guild is a technical and professional society whose aim is to further knowledge and skill in all branches of the industry. Being part of the Guild ensures that we are committed to maintaining the highest standards and levels of service, as well as being at the forefront of the changing face of the industry. In addition to all the qualifications we hold there are many hours of training which have been passed on in-house to our expert staff so you can be assured of the highest standards of cleaning, pressing and service you require from a garment care professional. Our association with the Guild has been long standing with John and Adrian Redgate being members of for over 50 and 20 years respectively. Adrian is a former Chairman and past President of the National Council of the Guild.